Study anywhere and anytime with this NASM Certification Prep App! 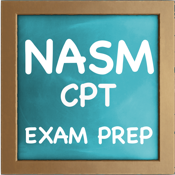 NASM CPT allows you to take practice quizzes and view flashcards/vocab created by a certified NASM and ACSM trainer. But wait, this app takes it a step further than the others, this app allows you to create your own questions/flash cards/vocab too. The NASM CPT was written to help trainers prepare for taking the NASM Certification Exam. This app is full of great information that is useful for any level trainer, from future students starting the program to trainers looking to get their certification! √ CREATE YOUR OWN QUESTIONS AND FLASHCARDS! This revolutionary system allows you to create your own training questions and flashcards. 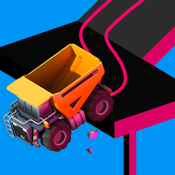 Create an unlimited amount of your own questions and flash cards and even edit ours. 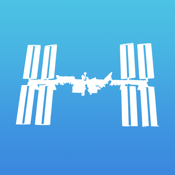 This app allows you to be actively involved in your learning. 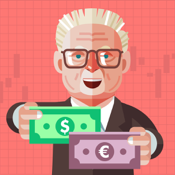 Research has shown that actively involved individuals have a better understanding and retention of topics, which often results in better scores. √ QUESTION AND FLASHCARD FEATURES! We offer a unique rating system which allows you to assess your understanding of the question/flashcard. This system allows you to focus on the questions/cards you need the most work with by marking them for review. There is also an option for hints/notes or for more information after the question is answered. 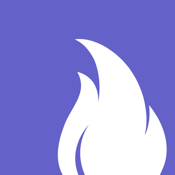 This app includes in-depth analysis tools which allow you to view statistics on every quiz and question taken as well as totals so you can see progression. We offer a historical feature which allows you to view any test/quiz taken so you can monitor your progress. Like our questions and want to email them out so you can study from another location? Go for it! Our email out system allows you to email out our tests as well as any tests you create. Want to quiz a friend? It is easy just email a custom test and now everyone can study! √ STUDYING FOR ANOTHER TRAINING EXAM OR CLASSS? 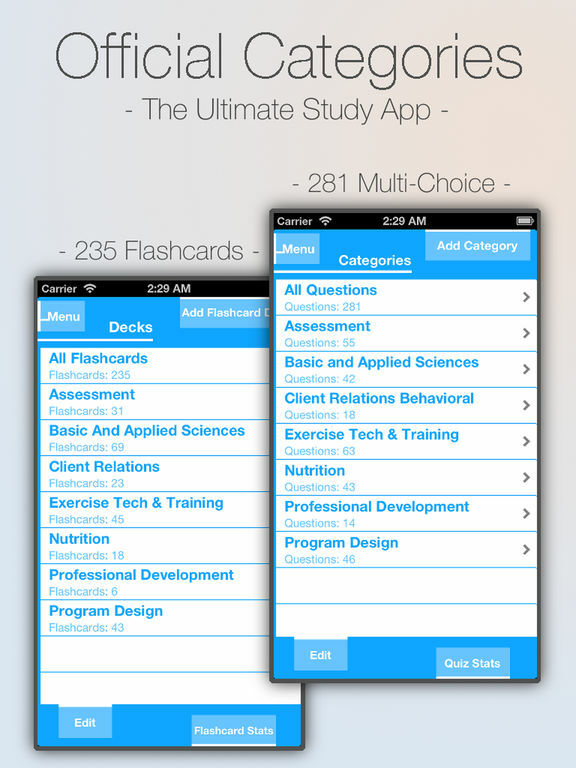 Reuse this app to make your own tests, questions and flashcards for any exam at no additional cost. √ Professionally Created Questions - Questions created by certified and practicing personal trainers. 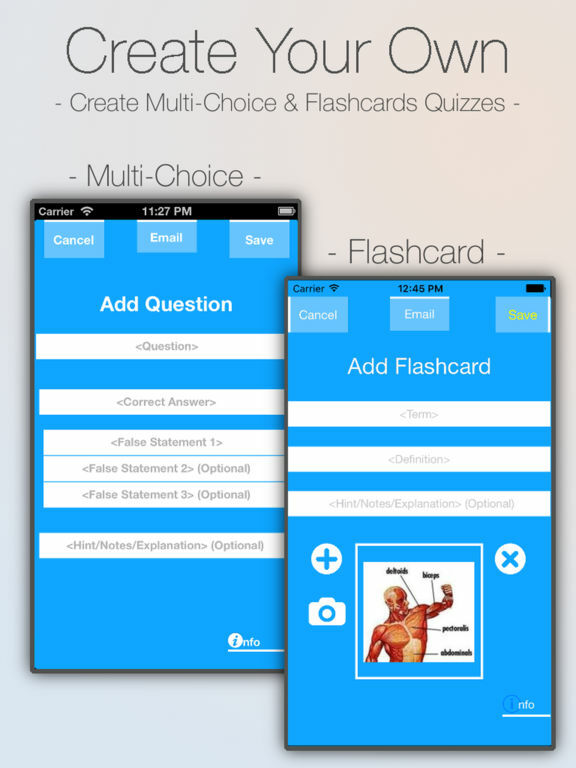 √ Create Your Own – Create unlimited multiple choice questions and flashcards for your own review. √ Integrated email system – Email/Share our questions or your user created questions. √ Vocabulary List – A list for quiz review of terms containing flashcard terms as well as any user created terms. 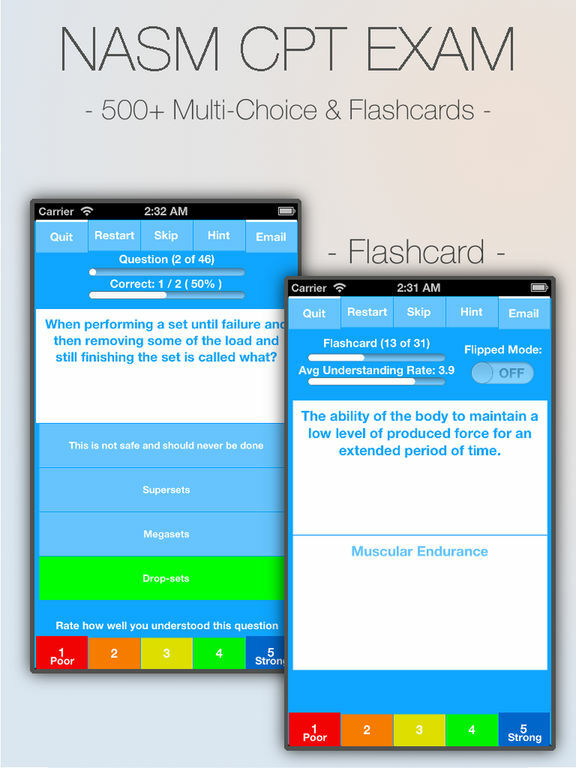 √ Performance Analysis Tools – Ability to track progress over all question/flashcard quizzes taken. √ 5 Star Rating/Review System – Ability to mark/rate questions and flashcards for further review. √ No data connection needed - All data stored on device. 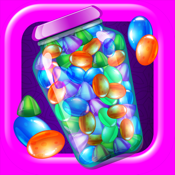 LEGAL: This app is neither affiliated with or endorsed by the NASM.